In November, the GCCCF Conference 2018 addressed an international audience of leaders in care provision, in policymaking, research, and the industry. The motto at the Fontenay Hotel in Hamburg was “Care 2025: Innovate, Orchestrate, and Elevate”. The Conference showed the enormous potential of improved coordination and collaboration in care – for better outcomes at reduced cost. 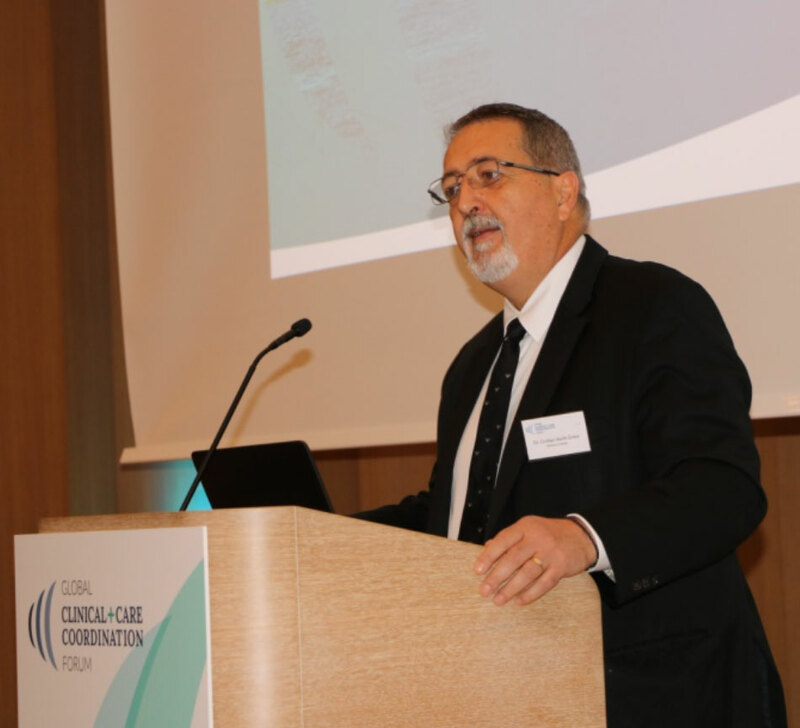 Coordination and integration of interdisciplinary teams and devices along the care chain is a key approach to enabling better care, explained Ljubisav Matejevic, President of the GCCCF. This will help produce improved patient outcomes at lower cost. “Only together, we can increase the quality of care, integrate delivery, optimize patient safety and efficiency – through coordination and collaboration.” Explaining the goals of the GCCCF, he continued in his opening note, “with the help of GCCCF, lets’ design and enable the strategy and vision for a better future”. Financing and a lack of interoperability are key challenges to digitizing and improving care, said Dr. Cristian Grasu, Secretary of State at the Ministry of Health, Romania. “Let’s realize semantic interoperability!” Dr. Grasu’s activities include enhancing stroke prevention and designing the hospital of the future. Artificial intelligence and deep learning are not a hype – they already strongly support precise diagnosis through pattern matching e.g. in radiology and pathology, underlined Dr. Fried-Michael Dahlweid. However, asked the Chief Technology and Innovation Officer of the Swiss Insel Group, what about inclusion in medical education, what about regulatory processes? Data privacy and security were in the center of the talk by Dr. Eric Liederman. The Director of Medical Informatics, Accountable Exec for Privacy & Security, Kaiser Permanente, and National Leader, Privacy, Security and IT Infrastructure, The Permanente Federation, compared the US regulation 1HIPAA and Europe’s 2GDPR. Handoffs demonstrate key differences; and conflicts entailed by laws as in the case of HIPAA and handoffs should be resolved in the patients’ interest. Dr. Liederman’s suggestion for care providers is – work with EHR vendors to develop and adapt tools to be flexible regarding compliance. 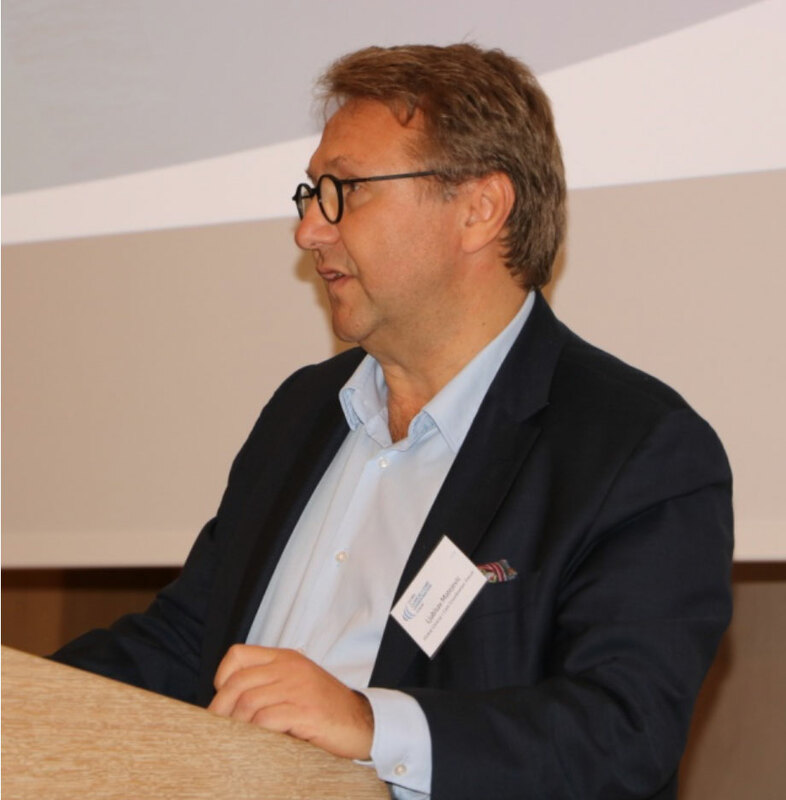 Ascom’s CEO Holger Cordes outlined that the challenges in providing care are similar worldwide – “it’s the same picture”: staff shortages, high stress levels and strong drive for efficiency are the order of the day. The length of stay is condensed everywhere, driving the need for faster, leaner, and more efficient processes. The solution is to optimize communication and collaboration by connecting patient centric data to streamline workflow information and orchestrate clinical insight when and where needed. In the context of data privacy, he added, let’s start thinking about both, upsides and jeopardies when thinking about legal rules on data privacy and security – for the protection but also the benefit of patients! Atrial fibrillation (AF) is a major cause of stroke, outlined Prof. Dr. med. Marcus Dörr. There are challenges in detecting AF e. g. because there are three types, the Professor for Cardiovascular Prevention and Epidemiology, University Medicine Greifswald, went on to say. Studies show: smartphones and smartwatches are well suited for screening and continuous monitoring of AF. Dr. Thomas Hübner, CEO, Preventicus, described how highly cost-effective population screening programs for atrial fibrillation can reduce Europe’s stroke incidence. The Horizon 2020 project REDSTROKE, smartphones and wearables are ushering in game changing technologies for the long-term patient monitoring required to ameliorate that situation. The global clinical workflows solution provider Ascom is on a mission to integrate, orchestrate clinical information and better enable providers to deliver care through better coordination, outlined Francis Schmeer. Bridging conventional information gaps allows Ascom to optimize clinical workflows by creating actionable insight and enabling informed clinical decisions, said the company’s Chief Sales and Marketing Officer. The Ascom Healthcare Platform is designed to help achieve these goals – through multiple modular solutions, with an unmatched depth of hardware and software, and through interoperability with existing hospital information systems and devices. It meets the demands of clinical care through its flexibility, scalability, and customizability. Matthew R. Watson, Managing Director and Founding Partner, Neoqua Capital described the huge trend worldwide to invest in healthcare – in health and medical technology, in telemedicine, robotics, artificial intelligence, biotech as well as in care provision projects and related infrastructure. However, business conditions are highly complex in the care sector – due e.g. to regulations – and profits will require a long term view. 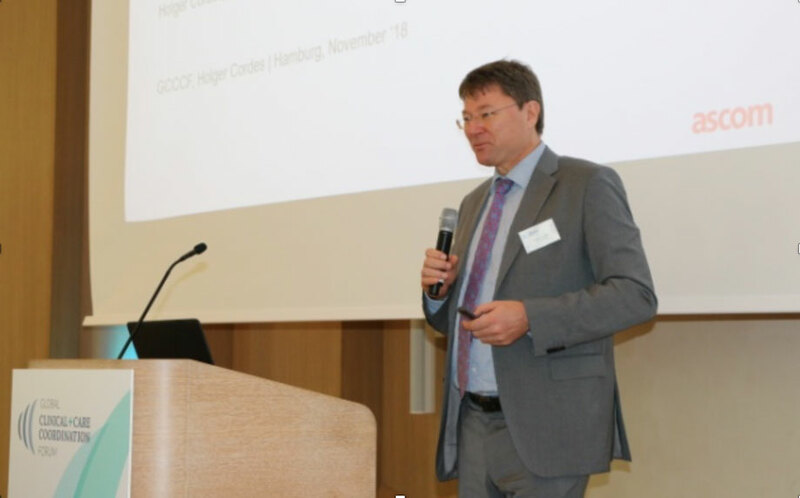 The GCCCF Conference in Hamburg was highly embraced – with a great level of interaction. 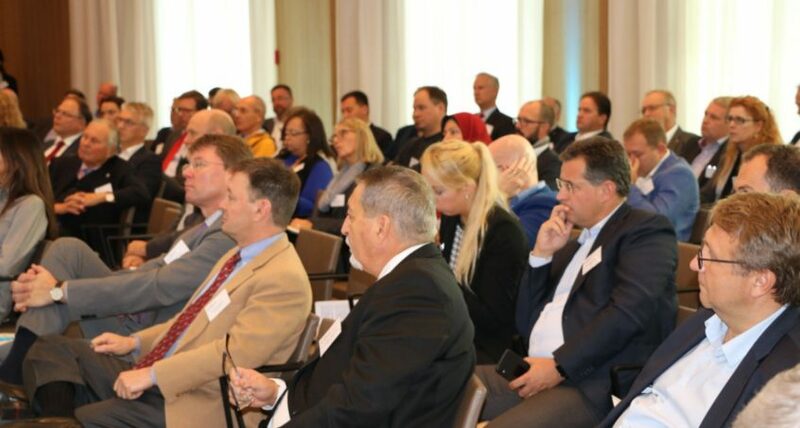 Projects presented can serve as an incentive to do better in providing care, according to the audience; and while ROI issues of technology use might be discussed even more intensely, the conference was much more than just business – “it was an impressive show of energy for improved care”. Attendees were impressed by the energy, quality, and size of the conference which showed the enormous potential of improving care through better coordination and collaboration with IT as an enabler. Matejevic motivated participating leaders to “take this further, internationally, in the upcoming roundtables and the next conference of the GCCCF!”.